Get in the ZONE with the Brunswick Zone Double Roller! 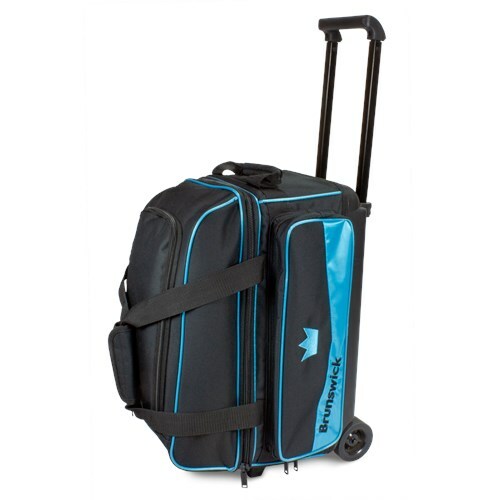 This 2 ball bag is exactly what you need for carrying your two favorite bowling balls, shoes, and ALL your accessories! You know you play your BEST when you're in the ZONE! Due to the time it takes to produce the Brunswick Zone Double Roller Sky Blue ball it will ship in immediately. We cannot ship this ball outside the United States.